Why do parents choose XUK Camps? There are lots of summer camps around the world. So many of them offering similar programmes. As a parent or carer choosing a camp, you are going to want somewhere reputable and highly recommended. What makes parents choose XUK Camps over other companies? Our directors Richard & Nick and the rest of the full-time team are available for you to speak to directly. Whether you are making an enquiry, booking over the phone or have questions before or during camp, our full-time team will take the time to ensure you receive the time you need. Being the size we are, we can always guarantee everything is ran to an incredibly high standard and are always there to have a big picture view of the goings on at camp. We are very proud of the international atmosphere we have at all three of our residential summer camps. Every summer, campers travel from around the UK, Europe and wider world to experience the summer of a lifetime with us. 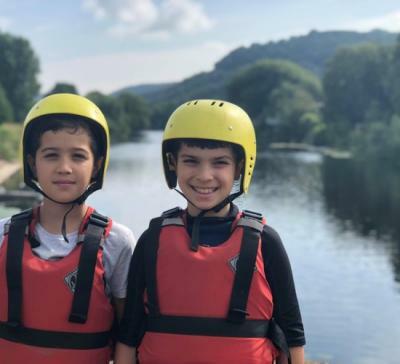 The diversity between our campers encourages them to broaden with world views and ways of thinking whilst experience different cultures, religious and backgrounds first hand. International friendships started at camp remain strong throughout the year. We often hear lovely stories and receive pictures from campers who have been reunited outside of camp. When you are leaving your children in other people’s hands, as parents and careers, you need more than just us telling you how great our camps are. Therefore we are regulated by Ofsted at XUK Activity & XUK English and accredited by the British Accreditation Council at XUK Excel. Both Ofsted and the BAC recognise that safety is our number one priority. Every single member of our staff team has been through a thorough recruitment process from a lengthy application form, to three-hour group interview and background & reference checks. Every year, we begin our recruitment in November so there is no rush to find talented, hardworking staff. Each summer, around 50% of our staff team return for another year of fun at XUK Camps. Our team are so much more than just part of our ratios – we have made lots of great friendships over the years and always look forward to the next staff reunion! These are just some of the reasons why you should choose XUK Camps this summer, find out more here!